Lack of confidence arises as a result of number of reasons. The reasons may be lack of skills for a specific job, lack of experience and many more. Lynn Taylor who is a national work place expert opens up that most employees fail to possess confidence as they do not hold perfect relationship with their bosses. Employers who post jobs look for employees who possess confidence as the basic attribute. Confidence is important for a number of reasons in an organization. There are never ending hassles faced by the organization and hence they are looking out for employees with confidence and boldness. Let’s sail through the topic and finds out why confidence is important to employers. An employer usually looks for employees who have a good level of confidence as confident employees are ones who get engaged in projects which are challenging. A confident employee would be able to step out of their comfort zone and accomplish new goals. The employers can monitor and find out if the employees are doing good with the project. It was William Arruda who is a personal branding expert says that confidence is the best attribute in any human being. He says that when one has confidence we like to follow him and work with the same person. He also mentions it as the number one by product of a person. Lynn Taylor also mentions that confidence is a leadership quality for any employee. With confidence an employee is able to take up decisive roles and elevates to higher roles. When you’re confident you can grab the attention of many people and maintain your team as they believe that you have everything under your control. When an employee lacks confidence then he loses all the opportunities that pass by his way. A career coach expert and president Deborah brown-Volkman opens up that challenging and great project would be avoided to people who aren’t confident. Bonuses, promotions and enhances in the organization will also be bypassed for people who lack confidence. This aspect makes sure that confidence is important for any employee. The company is taken to a better place when more and more confident employees are present. In this way the employer and the company is profited. There is complete engagement when employees are confident, and all are inspired. When employees are confident, there are more of positive contributors, they also present themselves as good motivators, and they are able to make more production. Thus they benefit the employers. A strong image is obtained by business when business employees have confidence in what they do and speak. Only a confident employee can speak out clearly and also put out some points needed for business when required. Remember an employer will not employ someone who is afraid and nervous to comment or speak. To do the best of their ability and also to carry out their chores in the right manner, confidence is mandatory. An employee should possess vision and ability to perform his task in the right manner. A confident person is focused and has the right vision to continue his process. A confident employee stimulates and encourages employees to run towards a particular goal. A confident employee can offer his employer more. Since he would be highly motivated, he can offer his complete hard work and show excellence in his work. This is one main reason for employee to be picked with confidence. When conversing about confidence in employers, they seek their employees to be confident because, they are ones who take up important and prolonged assignments. They will have solutions for any kind of problem. Hence possessing confident employees in an organization is important. Confidence is not only in their speech when confident employees are considered. They are ones who can handle many things under pressure. Organizations usually have process piled up with more work load; confident people are ones who can handle it with confidence rather than drawing back. The main beneficial factor of confident employees is that they boost up and encourage other employees in their team or office at time of exhaustion. Their speech and words boost energy and motivate others also to work. A confident employee is one who averts worries at work place, they are able to face both success and failure with the same level of emotion. They have the tendency to motivate one and all in the environment and solve their own problems. For these best aspects, confident employees are mandatory. Confident employees are ones who possess an optimistic view and look over all the hassles in a positive manner. They avert negative feeling within themselves and also with the co-workers. Their positive approach is what makes success and leads everyone to success. There are many essential attributes required by an employer for recruiting employees in a company. 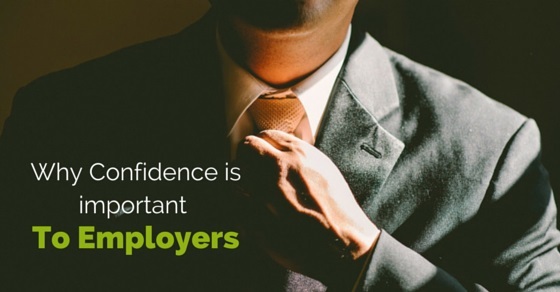 Confidence plays a key role and is demanded by all employers. They desire to pick confident candidates as they have special talents as mentioned above. One requires the right amount of confidence in order to tackle any type of challenge that comes in between. They are ones who believe in their own attributes and also make the environment the same. all stages of employment needs confidence to work, handle and overcome many chores. Apart from developing technical skills and talents, job seekers and employees can take initiatives to develop confidence in them and look into all chores with confidence. The pointers mentioned above shows the importance of confidence in an employee which benefits the employer. Previous articleHow to Deal with Gaps in Employment History?